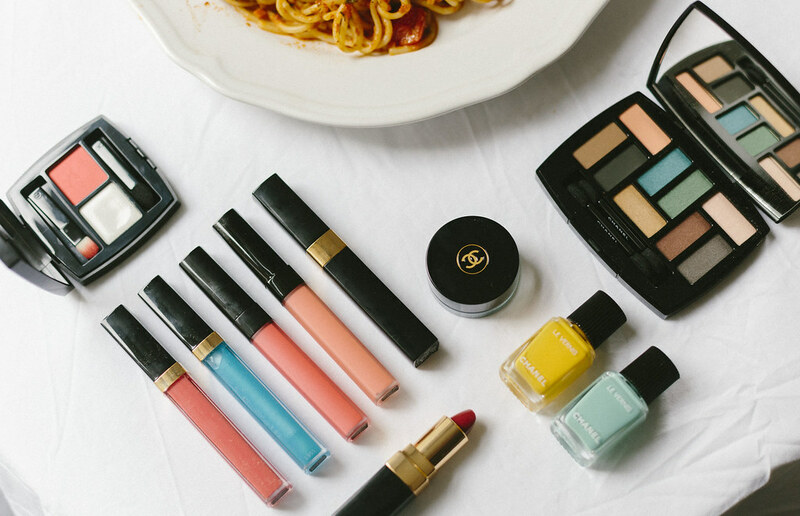 Like my wardrobe, when spring comes around, I like to shake things up in my make up bag a little. 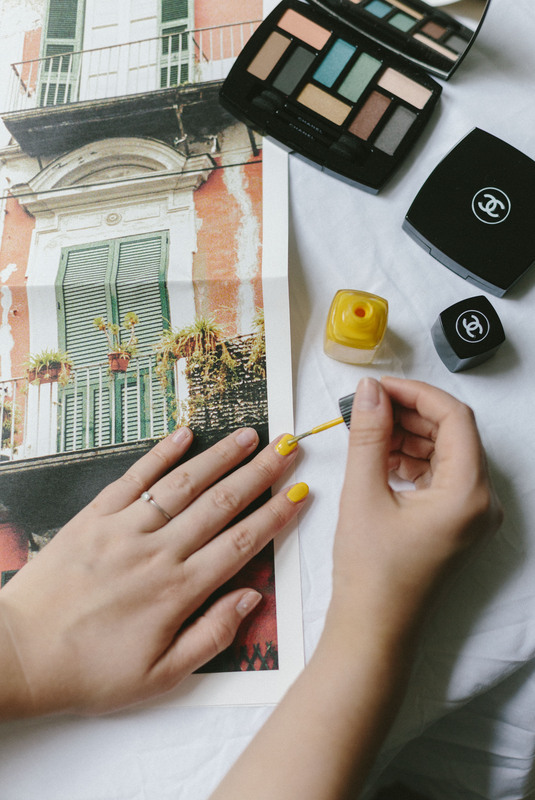 Although Glossier-style visions of dewy highlights and flushed cheeks always have me at hello, I always lean towards paint box primary brights- and this summer, with yellow being the new millennial avocado/Pantone rose quartz, I’m pretty excited to be injecting a little sunshine into my beauty routine. 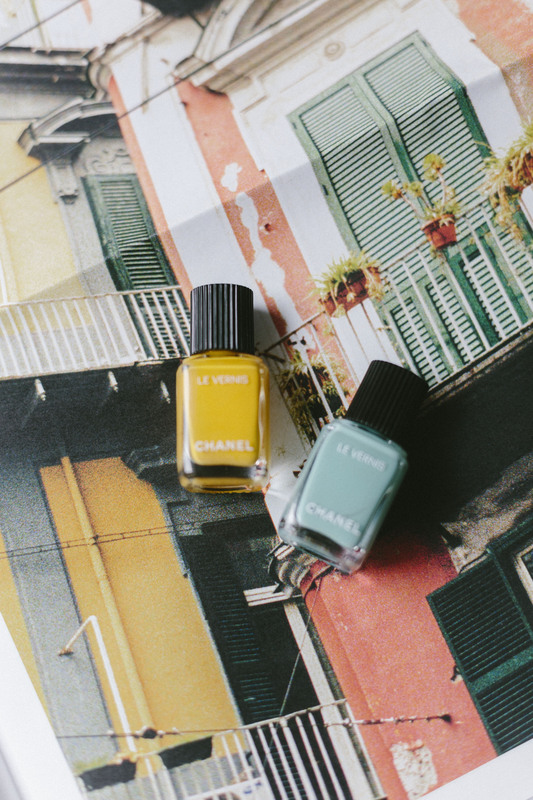 So enter Chanel’s new Neapolis: New City Collection– the meeting of two of my favourite things; Chanel Beauty and all things Italy (Naples in particular). 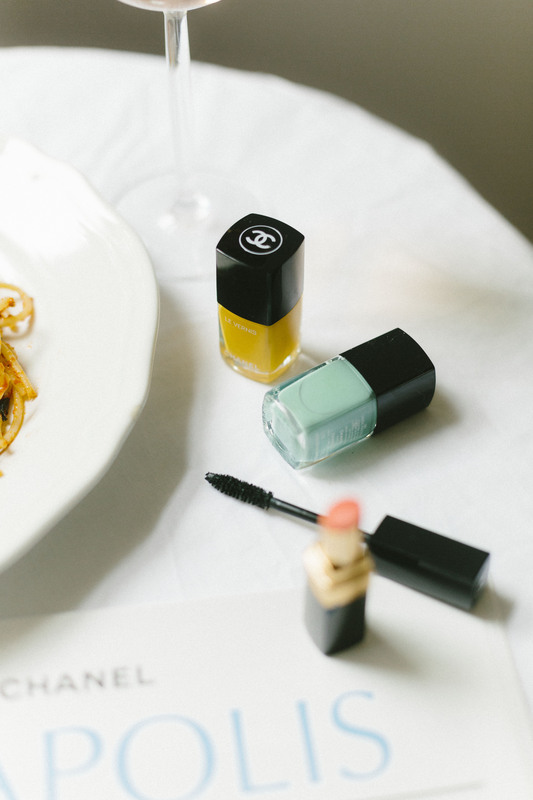 With this collection of completely luminous and vibrant offerings, all reminiscent and inspired by Lucia Pica’s hometown of Naples- it’s a complete treat. I remember being shown the collection way back in December, and falling in love with the pigments, the product and as always the story behind the launch (especially when someone like Pica is behind it). Chanel’s collections always feel so timely and considered, without ever falling victim to huge trends- and more so creating them themselves. As well as delectable palettes such as the Les 9 Ombres fused with earthy and blush tones, the collection also boasts four beautiful nail polish shades (in a minty green, coral red, bright yellow which I am in love with and a ballet slipper pink), juicy glosses as well as the stand out poudre à lèvres– a lip powder and balm which you can use to create your own perfect lip colour, no matter how lived in or rich you want it to look. 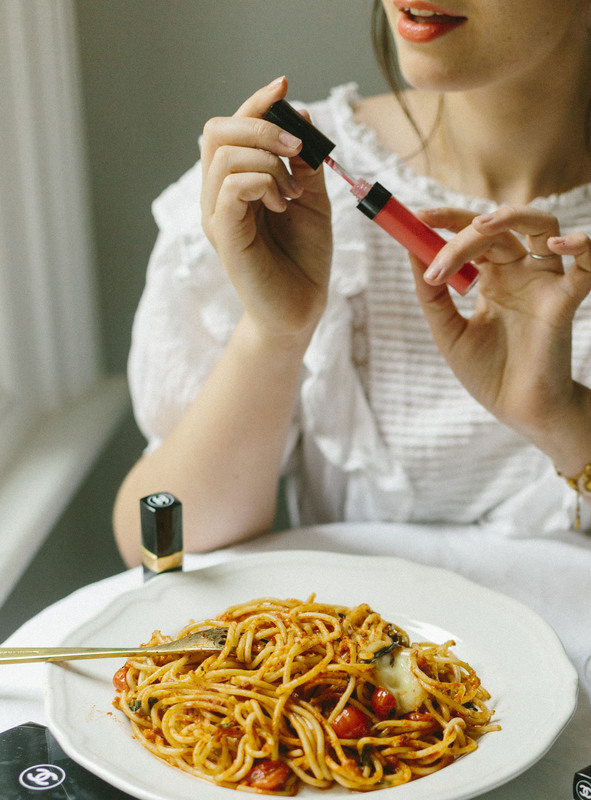 I’d never seen anything like this before, and it’s since become one of the most turned to products in my makeup bag for a gorgeous pop of lip colour, and feels like the ultimate cool-French-girl beauty product- which by me, is only ever a good thing. What a dreamy offering indeed. 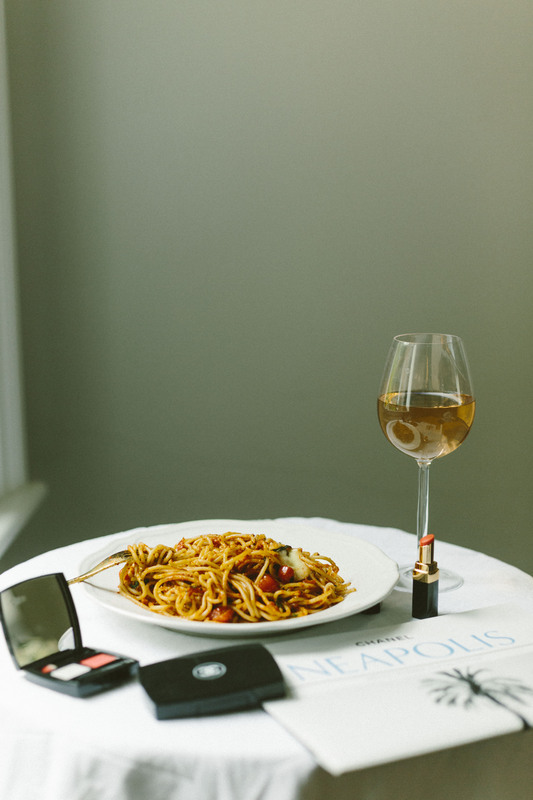 The post The Chanel Neapolis Collection appeared first on What Olivia Did.